I stumbled upon these shoes rather by accident. There I was, minding my own business with my speed sessions during lunch at work when one fine day, some idiot decided to steal my beloved Nike Free 3.0 running shoes (along with my Nike Kiger’s, 2 x pairs of Salomon shorts and an Arc’teryx top too) and I was left without my lightweight racing shoes (and around $650 worth of gear stolen) – I was not a happy chappy. So in an act of desperation, my only option available was to head down to the guys at Pace Athletic to see what was in store. Normally my solid supplier of all things Nike Free, alas there was no size left to fit me, so the Type A6’s it was to be. 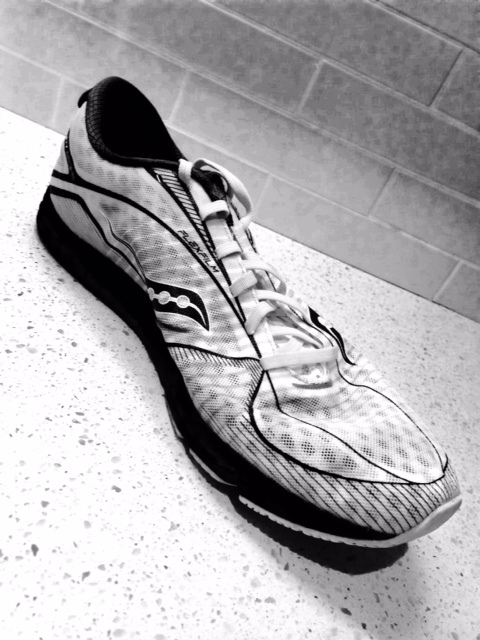 They were only meant to be a temporary shoe, but I really got into them, so thought I’d better pen a few thoughts and share some Saucony love. ‘Soft as a baby’s bottom’ is the phrase that springs to mind here i.e. you can go sock less in these without any issues. I’m gradually becoming more and more disliking of wearing socks when I run now, and somehow I think the manufacturers of shoes are listening to me – maybe Edward Snowden put them onto me. But seriously, they do feel extremely soft and in the 30+hours or so that I’ve put into these thus far, it’s all been without socks and zero rubbing or issues. I feel as though I’m running in cloth. The mesh is insanely thin and ‘breathable’ – that oh so over used word in apparel we see these days, but by golly it does feel as though you’re wearing a pair of slippers, rather than blasting around on the bitumen. All good shoe manufacturers love a bit of ‘patent’ (marketing) going on in their shoes these days and Saucony is no different with their ‘FlexFilm Overlays’. This (apparently) is a think flexible film welded into the upper that is supportive and lightweight and is used to support the upper. The answer is a resounding, ‘Yes’. These guys are pretty thin on the old cushioning and if you’re used to wearing Nike Frees (as I am), then the transition across took a few runs getting used to. Whereas the Nike’s feel as though you’re running on sponges, the Type A6’s are a little ‘stiffer’ in this regard and in responsiveness i.e. you don’t get what I call, the bounce-backability (I know this isn’t a word). However, the Nike Free’s really are at the ridiculous end of bouncy. The Type A6’s hold up very well when it comes to being ‘solid’ on the ground, and given their purpose as a racing flat, I have no complaints at all. In fact after a few runs, this whole ‘bouncyness issue’ completely slipped from my radar. What I do know is that these shoes are incredibly ‘grippy’ if I can used such a term. This ‘grippyness’ comes from another trademarked term, Saucony’s XT-900™ – A carbon rubber outsole material that offers exceptional traction properties without sacrificing durability, to quote the manufacturer’s website. Indeed, as I was taking pictures tonight for your viewing pleasure was the first time I’d actually looked at the sole since buying them and after 30+ hours, they do look in remarkably great shape. You’ll also notice the very ‘road runner-ish inspiration quote’ on the soles too. I felt highly inspired after seeing it – so I gave myself a little high-five for being so awesome. They’re also insanely lightweight (147g to be precise), to the point that holding one shoe in your hands, you’d barely know it was there if it wasn’t for the extremely loud (and slightly obnoxious) road runner fluro yellow these things have been decked out in. The colours of running shoes are starting to bother me now I must admit. Ever since Inov8 decided that having 10 million different colours of one type of shoe was a must to fill the egos of Crossfitters across the globe, other shoe manufacturers seem to have taken notice. It’s a disturbing trend, and one that we as ultra runners need to be wary of 🙂 We’re just not that cool. Jesting aside however, I have to admit that these are a bloody good choice of shoe if you’re looking for a lightweight racing flat for those odd occasions you have a brain snap and decide to test your speed out in your local 10km race while pushing a pram. Being a racing flat, be warned, they’re a 4mm drop from heel to toe, so if you’re used to high heels for running shoes, you’ll notice your achilles screaming at you if you decide to abandon caution and take a chance with these. 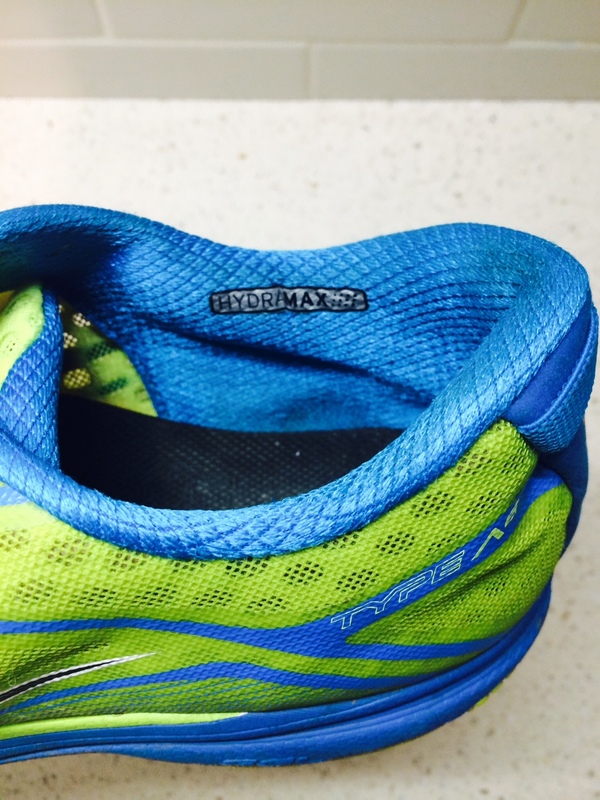 If you haven’t run in lower drop shoes before, use with caution and slowly to begin with. They also tick the stupidly lightweight box, are borderline slipperwear and provide a solid level of cushioning that makes wearing them for a marathon seem plausible too. I personally would buy them, and buy them I did i.e. 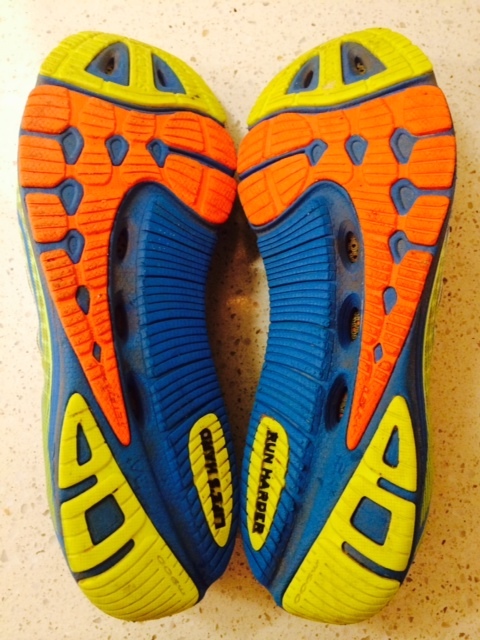 These were not provided to us free of charge to review from Saucony – we did it off our own backsides. We hope you find this useful (and a mildly amusing, if not slightly dark, English sense of humour style of review). If you’re in Australia, the guys at Pace have them in stock for $159 of your hard-earned dollars.